So many articles out there are all about finding happiness. “Keys to a Happy Life” or “The Secrets of Happy People” or “How to Be Happy in Any Situation” all sound like variations on the enticing theme of “How to find Happiness”. One important consideration that may be overlooked is that in many cases, happiness is often not defined by what we may think we want out of life. Don’t get me wrong, it’s awesome when things work out the way we want them too. Still, there has got to be more to happiness than that, especially in a world where we all get the short end of the stick once in a while, even sometimes when we have the best of intentions. We have all heard the cliché a million times: “Money can’t buy happiness”. People tend to agree or disagree with that statement at varying levels. Taking a realistic viewpoint, money itself doesn’t guarantee happiness, but when you’re broke and needy, it doesn’t necessarily have to hurt either. Breaking it down: when it comes to happiness and money, what is much more important is our attitude toward money as opposed to the amount of money we have. Whether someone is dirt poor or extremely wealthy, if we are on the constant chase for “more”, then that hunger can be a significant obstacle in the quest for happiness. 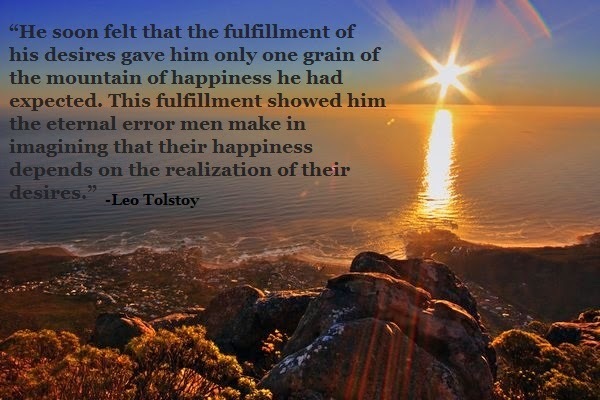 By contrast, those individuals who are grateful for what they gain in life, whether it is a little or a lot, have a much easier path when navigating the often winding path to happiness. For one thing, they may have much less to carry on their back along their journey. I am not going to try to tell you the secret to happiness, because like most people reading this, I am a work in progress myself with good days and bad days. I will however say that I have learned more about happiness from people who have struggled and fallen short, than from people who seemed to always achieve what they were striving for. If accomplished ambitions is the road map to climbing to the summit of the mountain of happiness, then all materially successful people would be happy, which we know not to be the case. When someone displays that inexplicable quality of sincerely smiling in the face of disability, illness, pain, injury, misfortune, loss, etc., or when someone can wondrously maintain joy despite injustice or adversity therein lies a secret inner strength that is often more valuable than a thousand fulfilled desires. Forgiveness is indeed divine and true forgiveness transcends mundane interpersonal relations as it considers the greater good of all involved. True forgiveness in its purest form is at the heart of principled and brotherly love Nevertheless, for those of us thinking in more day-to-day pragmatic terms, forgiveness also brings with it a usefulness in our daily affairs. Speaking in practical, day to day terms, in today’s world it is inevitable that others will hurt us, disappoint us, irritate us, judge us, cheat us, and speak to us inconsiderately or rudely on occasion whether deliberately, by accident, or even by matter of simple indifference or ignorance. When considering the inevitability of these interpersonal injustices, is makes sense to think about the decisive advantage that those who practice forgiveness have over those who cannot or choose not to forgive the small stuff. Did you ever meet someone who has the natural ability to let things roll off of their back like water off a duck as the saying goes? There is such a “down-to-earth” value involved with being able to simply let things go and just move on un-phased when others fall short of our expectations. 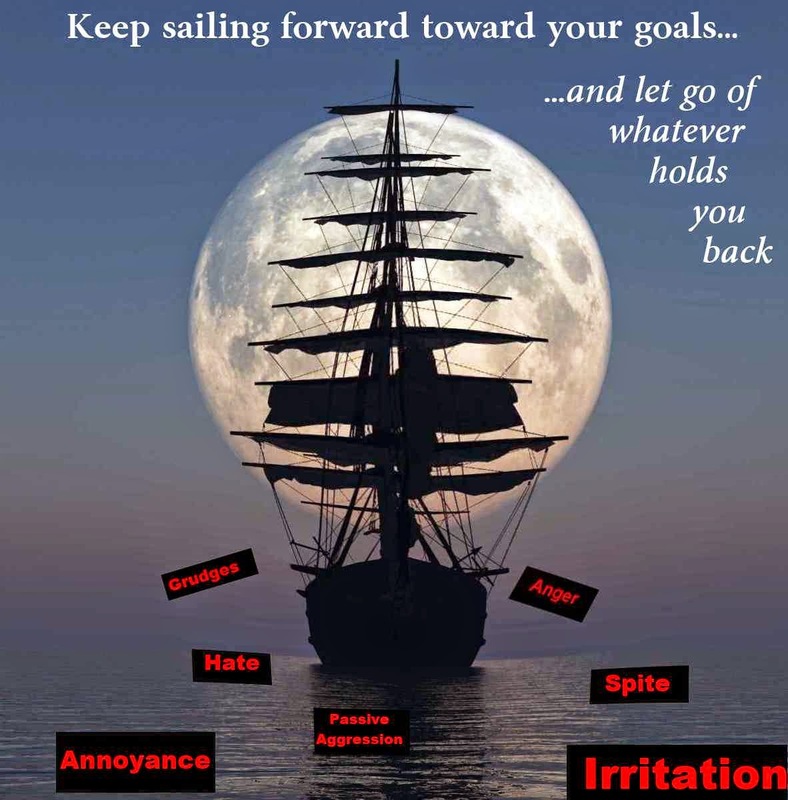 From a practical perspective, a good forgiver is constantly shedding the added psychological weight of resentment, annoyance and anger similar to the way those on a ship jettison extra baggage in order to keep floating forward during stormy weather. By the same token those who cannot let things go and who have difficulty forgiving are constantly taking on extra emotional “weight” that slows them down. Consider, for example, a time when something you heard or saw got you really upset or offended and you couldn’t let go of it mentally. Did you ever have the experience when another person in your same situation was able to avoid the same negative reaction that you may have had simply because they were able to forgive, move on and let it go in their mind? Did you ever find yourself jealously asking yourself “Why isn’t he/she getting upset like I am?” Meanwhile everyone else keeps going on about their business un-phased while you may find yourself staying up at night stewing in your own proverbial juices with resentment and irritation, possibly re-living the offensive situation imagining what snappy comeback you should have said or did. Obviously, to be able to learn to consistently practice forgiveness based on the “deeper” spiritual, humanistic and love-inspired virtues is much more satisfying and fulfilling especially in the long run. Nevertheless, for practical thinkers alike there is the added advantage of learning to forgive each day simply in order not to slow yourself down with useless negativity and then just keep sailing forward, leaving unnecessary stress in your wake.